When you visit Cambodia, you will probably come to Siem Reap to see the world-famous Angkor Wat and other Angkor temples. They are amazing, for sure, but you should not expect to discover silent temples hidden in the jungle any more, since Angkor has become a tourist hub. 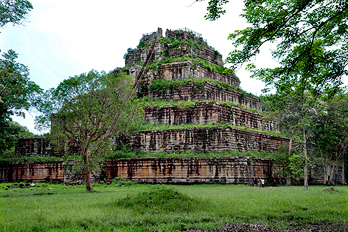 If you are looking for a genuine explorer experience, try it out and study Koh Ker, Cambodia's second largest temple town. You will fall in love with it! Koh Ker is definitely the best choice to see the extraordinary without any tourist hurly-burly. Koh Ker is located in about 90 km distance from Angkor, the road is bad. However, a tour to Koh Ker is managable as a day trip from Siem Reap near Angkor, in case you are ready to start in the very early morning and be back not before sunset. You will not regret it, Koh Ker is really a dream coming true for those who love to enjoy impressive historical monuments in a tranquil surrounding. If you like, you can additionally visit the overgrown vast temple complex of Beng Mealea on the same day, it is possible, too. 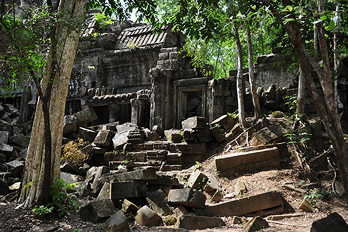 Beng Mealea is on the way from Angkor to Koh Ker. 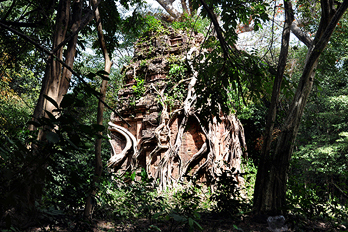 But in this case of a combined tour you will spend one or two hours less in the temple town Koh Ker. Some tourists like to visit the most scenic Khmer temple, Preah Vihear. 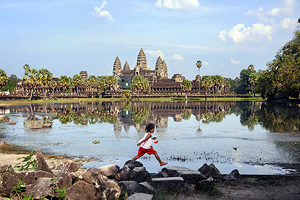 It is a little bit far from Angkor to visit it on a one-day excursion from Siem Reap, but possible if you accept a very long time for driving. However, a 2-days tour also visiting Koh Ker is much more recommendable. The best place for overnight stays close to Preah Vihear is Sra Em, where budget accommodation or a good hotel is available. In case you have three or more days time for a round trip starting and ending in Siem Reap, I recommend to combine a visit of Koh Ker and Preah Vihear with tours to other important but less frequented vast Khmer temple complexes. 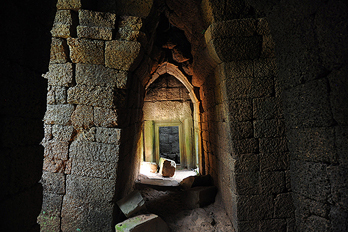 If you accept very simple accommodation, you could see Banteay Chhmar in the very north-west of Cambodia. For those who prefer normal hotels, we could drive from Preah Vihear temple via Preah Khan Kampong Svay (Prasat Bakan) to Sambor Prei Kuk and have an overnight stay in Kampong Thom, which is located halfway between Siem Reap and Phnom Penh. 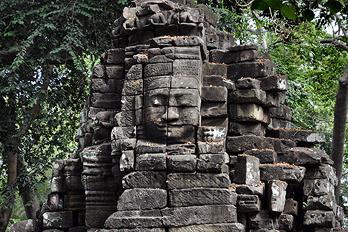 For a list of Cambodia's largest temples, all of them located in the north-west of the country and not too far away from Angkor, study the Khmer temple towns page. 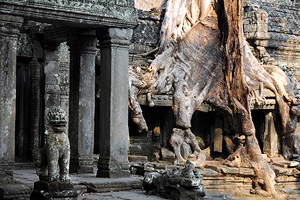 For proposals how to visit them, visit the Khmer Temple Town Tours page. 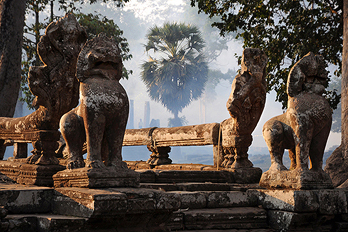 The best place for accommodation, far and wide, is Siem Reap. In the closer vicinity of Koh Ker there are only very simple accommodations, guest houses of the hostel category. Normal guest houses and a 3-star hotel are available in 70 km distance from Koh Ker in Preah Vihear City (Tbaeng Meanchey). Don't be confused: The well-known "Koh Ker Hotel" is not closer to Koh Ker, it is in the heart of Siem Reap, too. If you like to see my homeland and the origins of the Khmer culture and if you agree to accept very simple accommodation, I could invite you to visit this remote destination, too. On the way you could visit other attractions and afterwards I could drop you to beach resorts or to the capital Phnom Penhm if you do not return to Siem Reap for a second time. 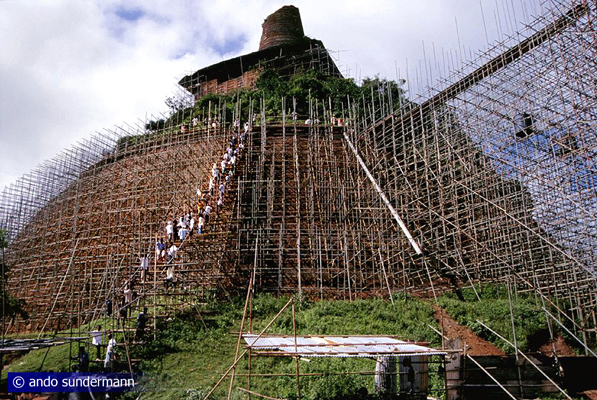 ... why not see another Asian highlight, the largest brick stone building, which is a Buddhist stupa? ... why not see another Theravada Buddhist country in tropical Asia with a rich cultural heritage? ﻿Sri Lanka's first historical capital Anuradhapura is one of the vastest excavation areas in Southern Asia and has the hugest brick monuments of the world, one of which is 1300 years older than the Angkor Wat. 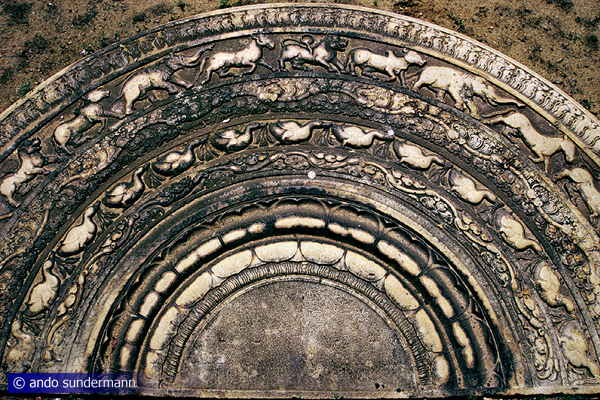 Anuradhapura influenced 13th century Thai architecture and Buddhist traditions in Thailand, Birma, Laos, and Cambodia. 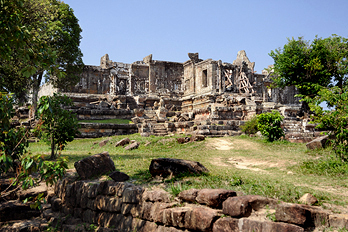 Even a son of Angkor's famous first Buddhist king Jayavarman VII is said to have studied in Sri Lanka. 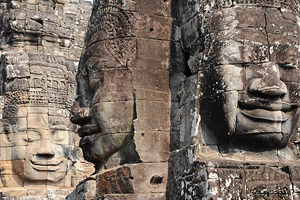 Phnom Da is the name ot the first Khmer style in sculptural art, because this hill and the surrounding areas of Angkor Borei are the archaeological sites where most of the early works of Khmer art have been found. 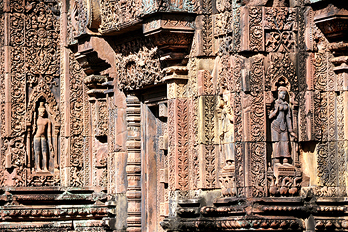 Besides Oc Eo, which is situated in today's Vietnam, Angkor Borei and Phnom Da were core areas of the Funan civilization, which is of utmost significance for the cultural development of Southeast Asia.